For many people, the holiday season is their favorite time of year, with excitement building for months. Spending time with family and friends, decorating, sharing laughs and getting in the holiday spirit means so much to so many. For these same reasons, this time of year can be the most difficult time to be in the hospital. Fortunately, there are many ways to bring joy into hospitals during the holiday season. 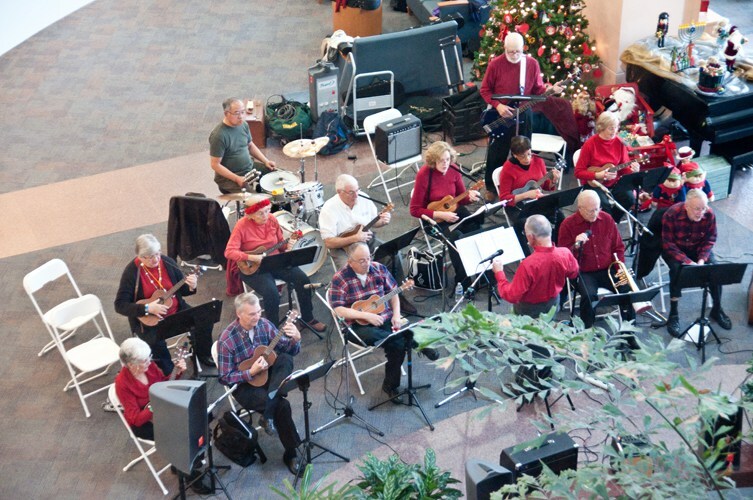 The holiday season brings the gift of music to Shriners Hospitals for Children — Northern California, where singers and musicians volunteer their time and talent as part of the Atrium Performance Series. Cub Scouts, Girl Scouts, choirs, school bands, and local business groups perform in the hospital lobby to make spirits bright. Gingerbread houses were assembled and decorated by patients and guests in the lobby of Loma Linda University Children’s Hospital who layered them with white frosting roofs and assorted, colorful candies. Other houses were sent to patients on the units who could not come down for the event. Whenever a house was completed, Santa or one of his helpers placed it on a large display structure designed to evoke the shape of a Christmas tree. Patients got to take a Teddy bear and the book of their choice. According to cleveland.com, there are 85,000 strings of lights at the festival at the John S. Knight Center. 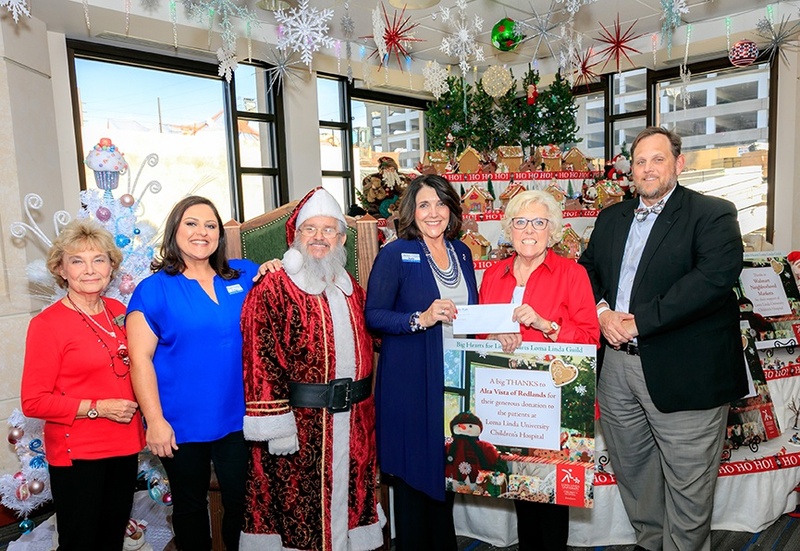 There are 140 trees, wreaths galore and holiday gifts all donated by an individual, group or business. 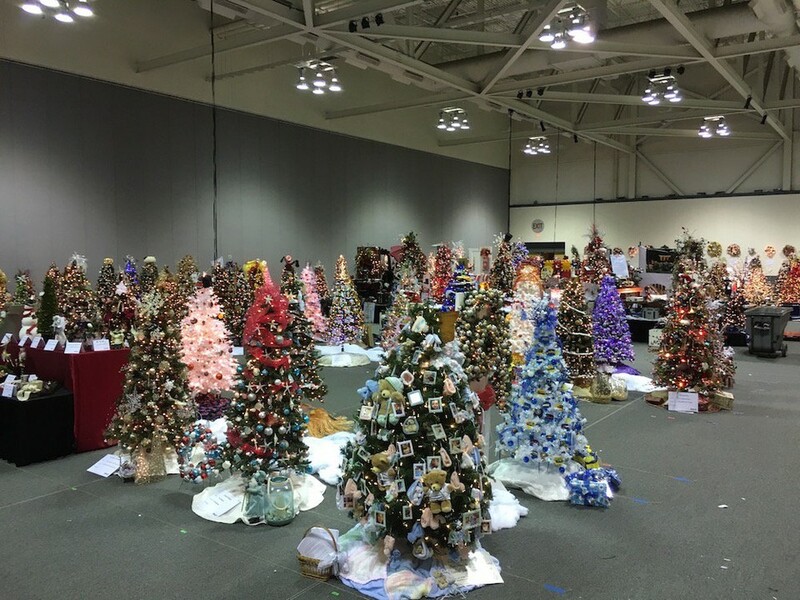 Click Here to See Photos of all the trees! Santa made a trip to visit kids at the University of Vermont Medical Center Children’s Hospital. According to the Burlington Free Press, No reindeer were used for this pre-holiday visit. 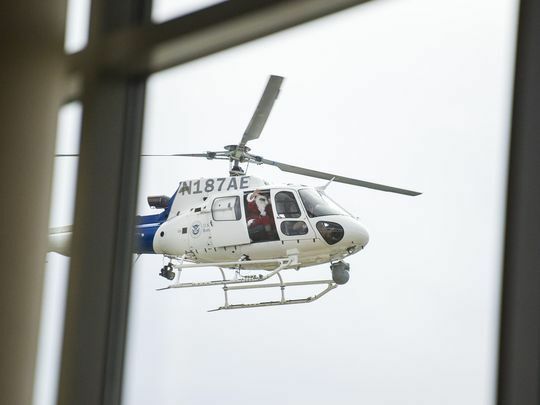 Santa Claus hovered in a helicopter at the hospital entrance, waving to the children gathered on a balcony inside. Have a family member bring in a LED menorah or a small tree to make it feel more like home. Light up a hospital room with a simple strand of lights. Play some classic Holiday music. Share thank you notes and holiday cards. Bring Holiday desserts and treats. Open some presents with loved ones and staff members. If you have other ideas or tips to celebrating the holidays in a hospital, please comment below! Happy Holidays! Life as a Nurse is hectic in general. 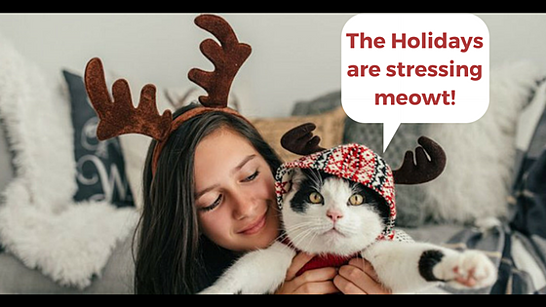 Throw in the Holiday Season and now we're really talking high stress levels. Instead of growing sick of the chaotic season, wishing for it to be over, and trying to come up with a game plan, you could be the A-team of holly jolliness, and give yourself more time to spend with friends and family. Read below for a few helpful steps and tips to surviving the holidays. For many nurses, the time between November and February tends to present times that could offer fun and stress relief. However, for the exact same reasons, stress can mount from various sources. We look forward to seeing family. Cooking those once a year dishes, to share with others, can invite lifelong memories. Of course, juggling work into the mix is part of the everyday life of a nurse. Then time starts to meander through the calendar of various holidays. A churning stress starts to invade our peaceful thoughts of how events were meant to unfold. Circumstances can create challenges. A nurse’s schedule is most likely already established before the holiday season arrives. Then reality happens. Family members may alter plans that interrupt a fluent strategy for what happens when. Speaking of schedules, as a nursing supervisor I recall many schedules that were constantly being adjusted depending on staffing needs and various circumstances. Perhaps there may be a side step of planning that helps to keep things in perspective. Willingness to adjust and let go. Appreciate moments as they happen. It all starts with a willingness to be realistic. Planning for all meals, all favorite desserts, all family gatherings... definitive word is “all”... is overwhelming. However, prioritizing may help. Try making a comprehensive list of all you may like to do. Then look at the list and mark each item how high a priority it is to accomplish. For items that you cannot live without, be honest, and let this be known. For other choices that are not as important, rank them lower. Maybe there will be time. But it will be much more rewarding if you are not stressed out. Keep your calendar handy and up to date. A vital tool for staying organized and focused on your priority items is the calendar. If you need to prepare something ahead of time, then schedule it like an appointment on the calendar so that time does not sneak away. If you run out of time, you may rush through an activity, thus experiencing less joy than you may have otherwise. Stress results when trying to fit too many tasks into limited time. Anything that can be done ahead of time, do not wait until the last minute. Mark your calendar with tasks that could be done by a certain date to stay on target to enjoy your plans. If you enjoy our content, you would love our bi-weekly newsletter! The holiday season is fast approaching and with that comes a lot of stress in both our personal and professional lives. No matter what holiday you celebrate, we hope it is a joyful and peaceful holiday for you and your family. To help you deal with the holiday details, we found this article that offers some useful tips to help you enjoy the holidays. What works for you? Perhaps you’ve discovered something that you’d like to share. As October comes to a close, we can feel the excitement and, at times, stress of the holidays approaching. While many people are out buying their last-minute Halloween costumes or planning their Thanksgiving menu, or even setting up their Christmas decorations (we know, early! ), nurses are preparing for working their holiday shifts. 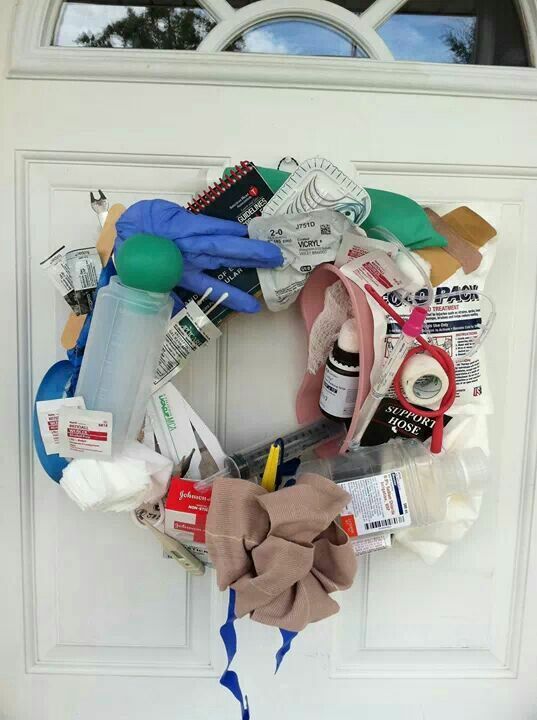 Working over the holidays is a reality check for nurses. While other professionals get this time off to be with their loved ones, nurses are caring for their patients and working to ensure the safety of other people’s friends and family members. While it is an honor at any time to care for the sick or injured, we understand it can be especially difficult at the celebratory times of the year. To make these occurrences a tad easier, and even fun, here are 10 ways to make the most of your holiday nursing shift. Start planning your holiday shifts way ahead of time. Coordinate with your loved ones on days to celebrate that work around your schedule. For instance, if you are working over Thanksgiving, plan to celebrate a day or two later. Speak with your manager about the best way to ensure you are there to cover your shift, but that you also have time built in for those holidays that are important to you. Do you normally do the bulk of the Christmas or Hanukkah cooking? Ask your family members to pitch in or organize a pot luck so everyone shares the labor. If you know you are scheduled to work over a holiday, know your limits and time constraints and ask those around you to assist in the holiday preparations. 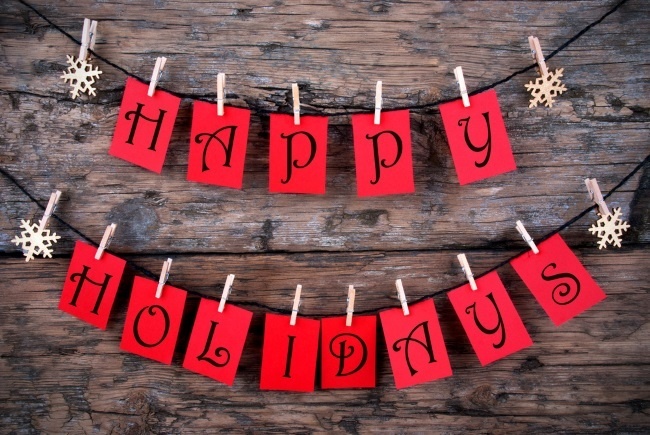 If you are scheduled to work over certain holidays, be prepared to meet any holiday-related needs of patients. Be on the lookout for complications of diabetes and dehydration over Halloween and be sensitive to how costumes may interfere with your ability to care for a patient or how they may affect a patient, especially those with a mental illness. Be ready for cooking-related injuries, such as burns or cuts, around Thanksgiving. Pay extra attention to patients suffering from depression around Christmas and New Year’s Eve. If you know what to look for, you will feel more prepared when encountering these situations. With permission from your manager, decorate your work station over the holidays. Put up paper pumpkins and turkeys. String twinkle lights and set up a holiday tree or bush. Just be sure to be sensitive and inclusive of everyone’s holidays, not just your own. Many times, your co-workers can feel like family. Take some time during a shift to celebrate with your team. Have everyone bring in their favorite holiday treat or consider exchanging small gifts. You may also consider planning a holiday party outside of your work setting. It’s nice to take the time out to blow off steam and enjoy your co-workers’ company. Working over New Year’s Eve? Celebrate at a time that works for you. Start the countdown at 5am with the other nurses working alongside you. If you want to celebrate with family and friends, you can do the same – pick another day and/or time, adjust your clocks and watches and ring in the New Year accordingly. Make the most of your breaks during your shift. If able, Skype with friends and family, follow their photos on Facebook or Instagram, or ask someone to share videos of the holiday gatherings with you. Utilize available technology to stay as connected as possible. Be mindful that the patients are there for the holidays too. Try to lift their spirits by asking if they would like their room decorated or try speaking with them about happy holiday memories. You may be able to help accommodate visitors or help patients get in touch with family and friends. Too busy to decorate for your favorite holiday? Not enough time to go to the mall to buy gifts? Too stressed to cook your traditional holiday meals? Cut corners where you can; shop online, skip the decorating all together, order take-out or pick up prepared food from a local store. Determine what you can do without and compromise where you can. Depending on your work place, there may be benefits to working a holiday shift, such as extra pay or the next holiday off. During the holidays, you may also get to enjoy a slower work pace and a shorter commute. On top of that, you are in it together with your fellow nurses and your patients, who all are there to share the holiday with you.